Earlier this week the Unicode Consortium unveiled a draft list of new emoticon characters to be considered for its 2019 catalog. As such, these characters are to likely debut alongside iOS 13 or shortly thereafter. Among the list of about 150 potential candidates are a wide array of personified and stylized expressions. For example, the hot and cold faces shown in the image below, a variety of hair options including bald, curly-haired, or white-haired with an even more diverse palette of skin colors to choose from. Other potential candidates include a wide range of objects and characters like super-villain, superhero, leg, foot, woozy face, red haired people, white haired people and curly haired people, as well as tooth, bone, goggles, lab-coat, mosquito, skunk, skateboard and many more varieties of animals and food. 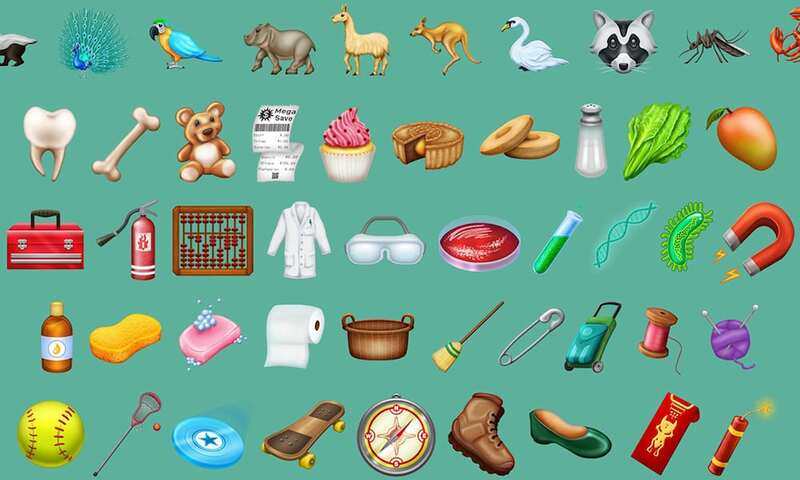 The proposed characters are a part of the Unicode Consortium’s Emoji version 12.0, which should be finalized and ready for reveal by March, 2019. Although Emojipedia, the group’s source for creating and selecting emoji additions, also suggested some characters could be approved and updated to the Emojipedia library before then — they wouldn’t be available to Apple device users until the company officially went to sign off on them. Apple maintains a close association with the Unicode Working Group, which is how the Cupertino-company generally has so much push and shove when it comes to determining which emoticons are accepted and/or published. Of course, Apple is not the only entity with vested interest in the Unicode group, so while Apple cannot unilaterally decide which emoticons do or do not make it into the final published collection, the company can still choose to use some, all, or none of the characters as they become available. Earlier this year, Apple submitted a collection of 45 proposed emoji charactersrecognizing individuals with disabilities for consideration to the Unicode Consortium, and while there’s no sign of those symbols in the current draft of candidates it’s still possible we’ll see some of those in the upcoming Emoji 12.0.